Anyone else following some of the raw foodies on Instagram? Seems like most of them are Australian. Every photo is a mouth-watering plate of tropical fruits or a perfectly layered parfait of various raw food delights! Where can I order one of these? If I had access to this every day healthy eating would be a breeze! What about the recently exploded trend in California – the acai bowl? Tasty, but at $10 a pop & questionable amounts of added sugar it may not be a great daily habit. So what to do? I decided to finally attempt a smoothie bowl at home. The secret? Choose your favorite smoothie recipe. Put everything in the blender until smooth. Pour in a beautiful bowl instead, tops with more fresh fruit or toppings of your choice. Eat with a spoon. Ta-da! I like all three of the Dr. Oz detox smoothie recipes as a base. I alter them depending on my current mood & what is in the refrigerator. But if you are new to blending it is helpful to follow a recipe so you don’t end up with a glob of brown/green, funky-tasting slop! Check out his recipes here! Below is what I did. Whisk chia, 1 cup water, 1 drop orange essential oil & splash of vanilla in a glass bowl. Cover a place in refrigerator over night. Add all smoothie ingredients to a high-powered blender & process until smooth. *Essential oils should only be used in glass (no plastic) so mix in after removing from the blender if there are any plastic parts. These oils can break down the chemicals in plastic which you can then ingest & this can damage your blender. Prepare toppings & slice desired fresh fruit. Layer in a bowl or clear mason jar: granola, smoothie, chia, smoothie, granola & finish with any other desired toppings. Take a picture of your food art & enjoy!! I must confess. A few things. But don’t take this disclaimer as a discredit for my pie. It is DELICIOUS & I’m super proud of creating it. However, I think you should know my mother bakes the best apple pie. In the world. Truly. My great-grandmothers were both very talented pie makers. They both lived in rural Indiana & passed the skill and love of pie making onto my mom. My brother picked it up for a season, but so far no one in my family has adopted the tradition. It isn’t because I don’t want to, but replicating it seems impossible. And furthermore, I can’t get myself to bake with the ingredients of my great-grandmothers. There are many reasons for this, but that is a discussion for another day. Lastly, I don’t follow recipes. I substitute things that shouldn’t be. I don’t measure – that is likely blaspheme in a true baker’s kitchen. Anyways, all that to say, we are lucky to have this recipe. When I bake it is a wild experience & you never know the outcome. When things don’t turn out it is no loss. But when they do, I am always a little sad I can never replicate it as I cannot remember what I did the first time around. This time it was superb, so I decided to quickly re-create & record the ingredients. Do you like pie? Do you enjoy healthier versions of traditional favorites? And do you enjoy the immediate gratification of a fast & simple dessert? Good, you will love this. Mix flax & coconut milk in large bowl. Whisk until it forms an egg-like consistency. Add coconut oil & coconut milk. Mix well. Add flours & pinch salt. Stir until combined. 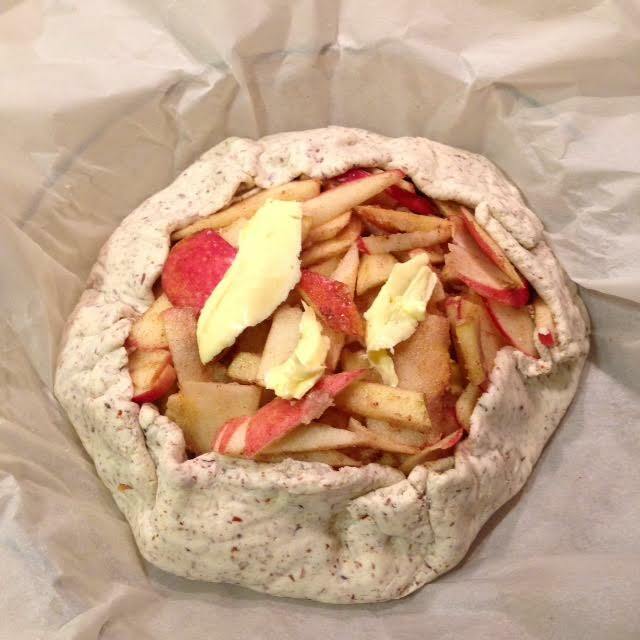 Roll dough onto parchment paper until about 1/8″ thick. Place into pie dish. Slice apples as thin as possible. In a bowl, mix apple slices, honey, coconut oil, butter & cinnamon. 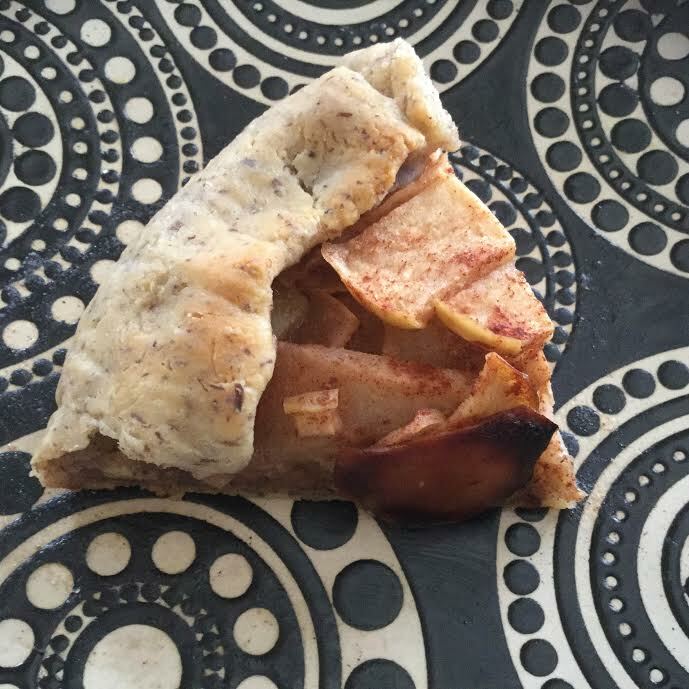 Pile apple filling onto center of crust & fold edges up over the apples. Bake for 15 minutes. Turn oven up to 425 degrees and bake 25 minutes. Once crust is firm to touch & lightly browned, slice & enjoy! Everything in moderation. That’s what these non-sugar-or-food-addicted people keep telling me. It’s easy they say. Well, I’m here to say, it’s not for me. I eat healthy & take care of my body. But when “special occasions” come, I tend to over indulge. It’s something I am always working on. Remember my post where I come clean about being a sugaraholic? Point is, I just got back from vacation & could use a bit of a tidying up of my diet. But first, let’s back up a bit. Vacation was beautiful. Time off work. Connecting with family. Celebrating two new marriages. Meeting my friends new baby. Lots of good food & love. Playtime. I love the release from the pressures of daily life that vacation brings. But vacation is just that – a break from routine. After a few weeks away, my balance tends to shift. I feel the impact of irregular sleep, indulgent foods & less structured exercise. So back in my world, it’s time to clean it up. Self-care, super-foods & sweating it out are in order! My cleanse will consist of lots of whole foods (ie: leafy greens where have you been all my life? ), regular meditation (quiet time), lots of water & daily workouts (body weight exercises, hiking thanks to the time change giving us lighter evenings, yoga & bicycling). For more ideas on gentle cleansing with whole foods check out this post on MindBodyGreen. I’ll be avoiding gluten, sugar and processed/packaged foods. I’ll be reducing greatly caffeine, dairy & meats. However, one thing I won’t be going without: CHOCOLATE!! Skipping the sugar for awhile, I’ll need to get creative to get my cacao fix! 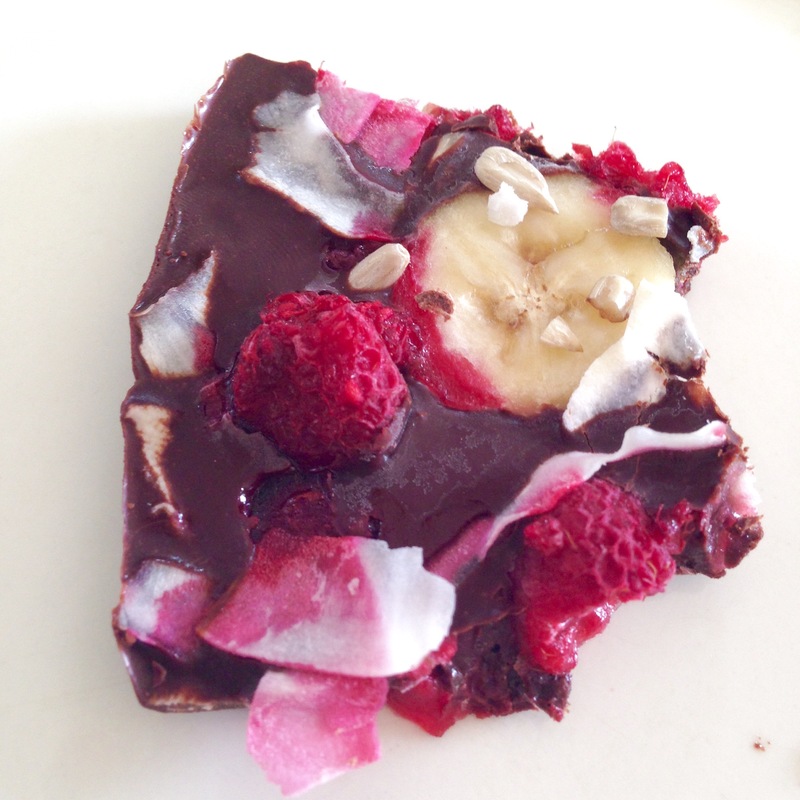 Once upon a time, Phoenix & I made up our own recipe that is something like the various chocolate bark recipes you see. 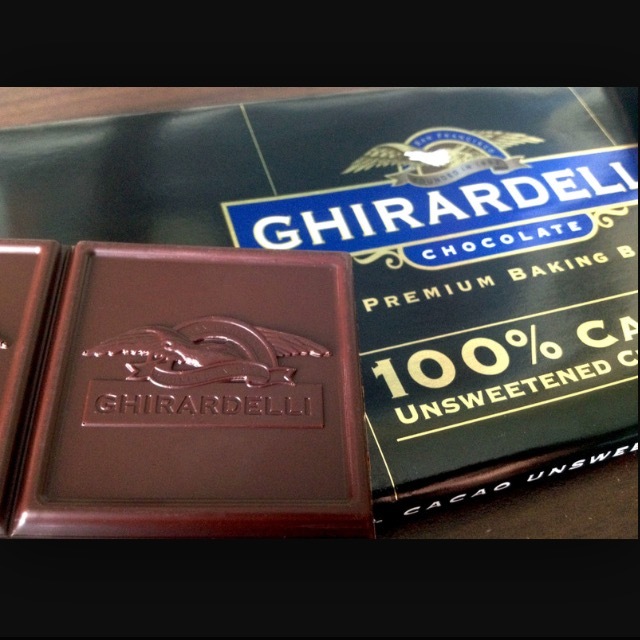 I tried it today with 100% pure dark chocolate. It turned out fantastic & I don’t miss the sugar of lighter chocolates!! What’s the secret? Coconut oil or butter to add some delicious healthy fats & fruit to sweeten naturally! Here is the recipe – get creative with your additions! pure therapeutic grade essential oils (ex: peppermint, lavender, orange) ***apply by dipping toothpick in oil & swirling through the chocolate until desired taste is achieved. Mix & drop in optional toppings to add flavor & sweetness. For this batch I chose 1/2 tsp vanilla extract, 1 sliced banana, 1/2 cup frozen raspberries, several dashes cinnamon & sea salt, 1 teaspoon sunflower seeds & 1/4 cup dried coconut flakes. Place in freezer until firm. Use a sharp knife to break into pieces. Enjoy!! What other “desserts” do you love that aren’t loaded with processed sugars? Your hormones, taste buds and brain chemistry have been hijacked by the food industry. Not metaphorically, but biologically. Sugar is an addiction. The above article opens by stating: Sugar is the new tobacco. Wow. That couldn’t be more true. It is extremely hard to avoid sugar even when trying. But who tries? Sugar hides in most foods on the market & tastes insanely good! Excess sugar in the diet contributes to headaches, mood swings, anxiety, depression, diabetes, high blood pressure, & obesity, not to mention chronic inflammation which is at the root of many other difficult health conditions. Check out this article on America’s Sugar Addiction for some shocking facts about sugar consumption. Despite my love for all things sweet, alas, sugar is no good for the body, mind or soul. All my education, research & experimentation support this truth. I must say goodbye to sugar. Up until this point in my life, I have never been able to approach sugar in moderation. I always end up back at excess. So while some people can learn moderation, I believe I am an addict & must get clean. 100%. All in. 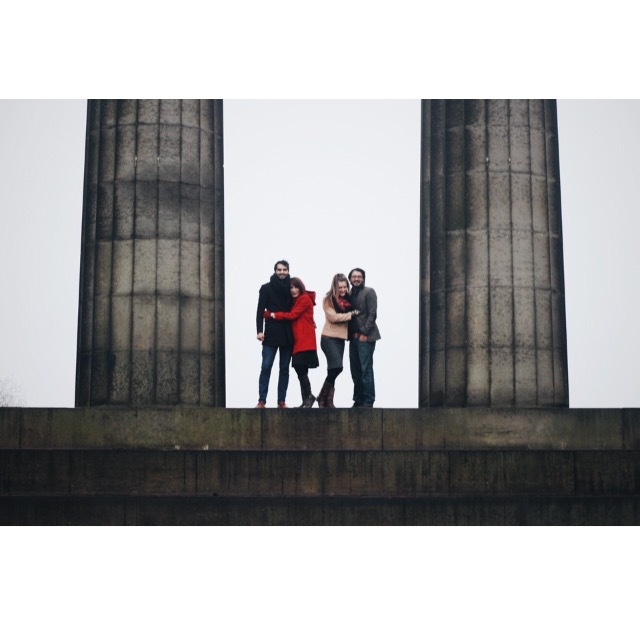 Struggling with sugar has brought a new respect for those battling addictions to other drugs. Abstinence is hard. So hard. I have had many nights of sneaky snacking, baking & eating entire batches of cookies (that’s normal right? ), finishing off the ice cream at breakfast & repeatedly seeking comfort from food during the ups & downs of life. As someone who values preventative wellness & knows healthy eating is the foundation for a vibrant life, these cycles of overindulgence have come with guilt, self-loathing & predictable sugar craving/binge cycles. And let’s not forget the irritability, anxiety, low energy & lack of motivation that accompanies too much sugar in the body. There is good news though! We can take back control over our physical, mental & emotional health. I am proud to say I have been clean 10 days! That means no regular ol’ sugar, added sugar, processed foods, natural sugars (like honey, agave, maple), or grains that quickly turn to sugar. Phew! It’s hard but awesome. I don’t know why this particular detox is working, but I am feeling stronger & more empowered each day. I don’t want to go back. I will complete this 30 day challenge (part of my Thirty before 30 goals) on Tuesday, November 4th & then assess my long term plan. Check out this women’s health magazine article about cutting sugar out in 5 phases if you want to try it out in smaller steps. For a more immediate detox, try completing a Whole 30 (thirty days of clean eating). Mark’s Daily Apple is also a great resource for cleaning up the diet & eliminating processed foods & sugar. Check out the before & after stories and photos for inspiration! 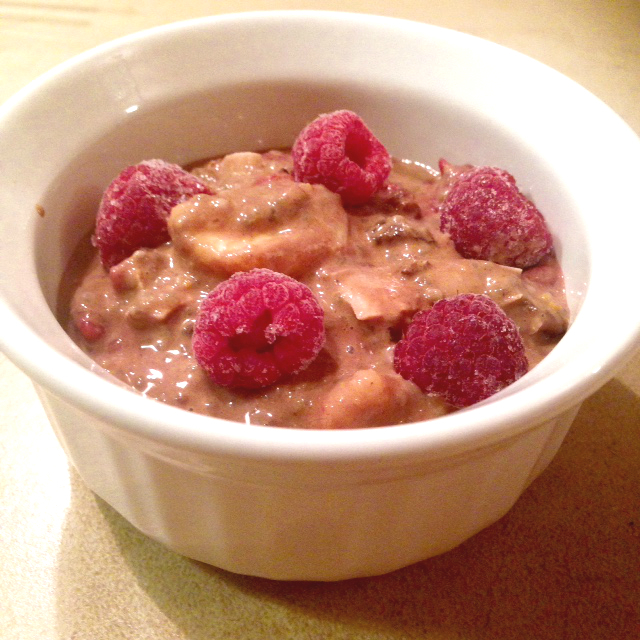 If you have a feisty sweet tooth like me… try this chocolate chia pudding recipe I whipped up tonight. It’s a great reminder that there are ways to include treats without the added sugar & junk! This turned out so delicious that I ate some for dessert & the rest will be breakfast! 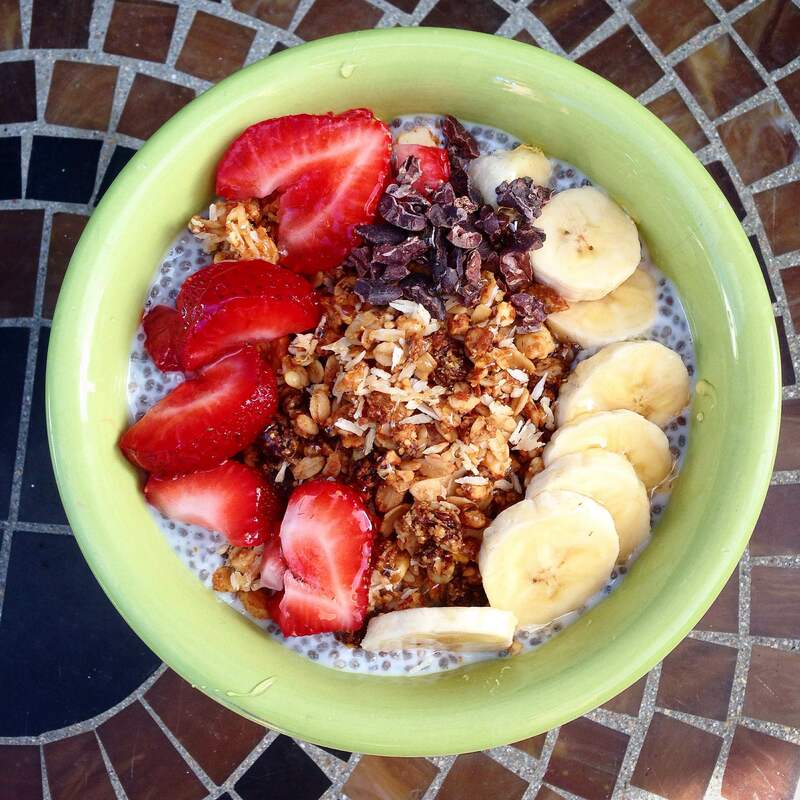 Mix chia & milk in a bowl. Add remaining ingredients & stir until well mixed. Refrigerate at least one hour (or overnight for thicker pudding). Add mix-ins of choice (I actually mixed in all the items listed above before refrigerating). Easy peasy. The fun thing about this recipe is it can be adapted to all tastes. Plus, it packs such a health punch that it can be eaten for breakfast or dessert as party of a healthy diet. Use your milk of choice. Perfect your bowl by adding in or leaving out ingredients – nuts, nut/seed butters, spices, dry/fresh fruits coconut & cocoa/nibs. 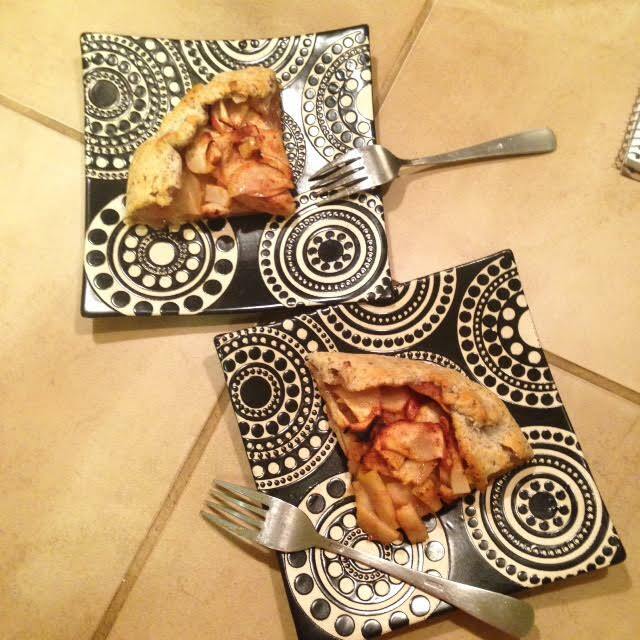 You can try an apple or blueberry pie theme. I went for a cross between chocolate pudding & pumpkin pie. The options are endless! Hope you enjoy the recipe. Much love & strength on your wellness journey! One little peace … piece of cake that is! “Life is like riding a bicycle. To keep your balance you must keep moving” – That Mr. Einstein sure was a wise man. I strive to stay positive about the constant balancing act between all aspects of life and wellness. To be at peace with where I am on my wellness journey in any particular moment, I cannot see “balance” as a final goal or destination. Instead I look to find peace & mindfulness by being present, acting from a place of love & putting energy into the many things I love and need. There is beauty, joy & excitement to be found in accepting that finding “balance” is an ongoing piece of our lives. 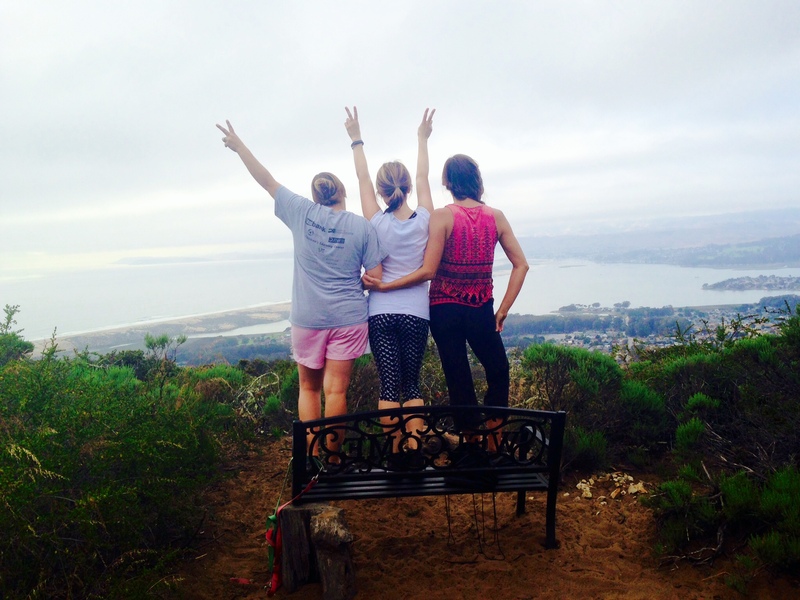 Finding a moment of peace and beauty on our mid-week hike! When it comes to a balanced diet, it is no secret that sugar is my vice. Sometimes I feel in control, balanced… and other times I am at the mercy of cravings. Hard cycle to beat. I strive to follow the 80/20 rule when it comes to eating healthy. I stay away from sugary drinks & processed foods so that I can indulge in chocolate & baked treats. But let’s save the balanced diet discussion & challenges for another day. Because today I want to send you into the weekend with a delightful gluten-free cupcake recipe to try! I adapted this from a recipe on Pinterest so check it out in all it’s tasty glory here! Below are the changes I made to the recipe to create a lemon cupcake with lavender frosting! Cool completely. Frost & Serve. add 1-2 drops essential oil, taste & increase to achieve desired flavor *note: essential oils are very potent & it is easy to overdo this! That’s it! This is currently my go-to cupcake recipe as it is easily adapted to various flavors! For a more basic flavor try vanilla cakes (leave out lemon) & chocolate frosting (leave out lavender & add cocoa) … easy & delicious! Did you know you can bake cupcakes in advance? If you refrigerate cupcakes they will dry out. But you can bake them, freeze them, defrost & frost when you are ready to serve. This means you can bake ahead of time & the day of your party impress your guests with fresh baked goodies! Or if you have more self-control then I do, you can bake cupcakes and keep them in the freezer for whenever you want a quick, homemade dessert! ENJOY & have a great weekend (almost)!! !